A Grade 1 Georgian house containing a fine collection of 18th century portraits and furniture. 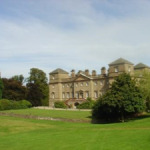 Home of Viscount & Viscountess Cobham. 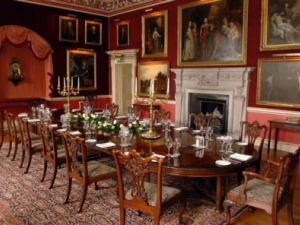 Hagley Hall, the 18th Century home of Lord & Lady Cobham, provides unlimited possibilities for the corporate client. 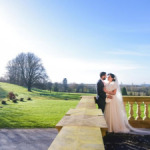 Set in 350 acres of spectacular landscaped parkland the Hall, with its ornate State rooms and rich Rococo décor, offers a splendid and unique venue for your business and conference events and meetings. 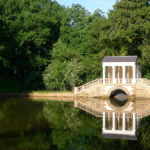 And since Hagley Hall is not a hotel we do not have to worry about the needs of other clients so we can truly offer you an exclusive service and pay attention to your every need. 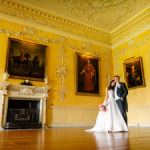 Hagley Hall has a selection of State Rooms available for receptions, meetings, conferences and banquets. Enter the Hall via the impressive Perron steps and entre the White Hall which is flooded with sunlight and its wonderful arched lobby and scagliola figures of the Gods (including Bacchus and Venus) give a perfect welcome for your important guests. Use this area as your meet & greet or registration with morning coffee and pastries. The Saloon is adjacent to the White Hall and has ornate architecture, offering the most beautiful and historic setting with quintessentially English views of the village church and cricket ground. The magnificent double doors open from the White Hall to the Saloon giving you more room if you required display or exhibition space. The Saloon seats up to 100 theatre style or can seat and impressive 50 in a horseshoe shape for larger meetings. Of course fine dining is an option to with the Saloon capable of seating up to 60 on round tables. Due to the double doors the White Hall and Saloon give a light duel aspect event space that will give the corporate client a unique platform to promote their business. If you are hosting a reception-style event for up to 250 people, the Long Gallery with its breathtaking chandeliers and enchanting views of the Deer Park make for a spectacular setting. The exquisitely decorated room with its oyster coloured silken wall coverings can cater for up to 110 guest’s banquet style, and is superbly lavish in both style and decor. For smaller parties the richly decorated Crimson Dining Room, overlooking the front lawn and beyond to the rolling hills of Worcestershire, is ideal for intimate dining for up to 28 people. There’s plenty of impressive parkland with two purpose built marquee sites which can accommodate 1000 +. Due to the large expanse of parkland there is ample parking with hard standing parking for up to 50 cars.